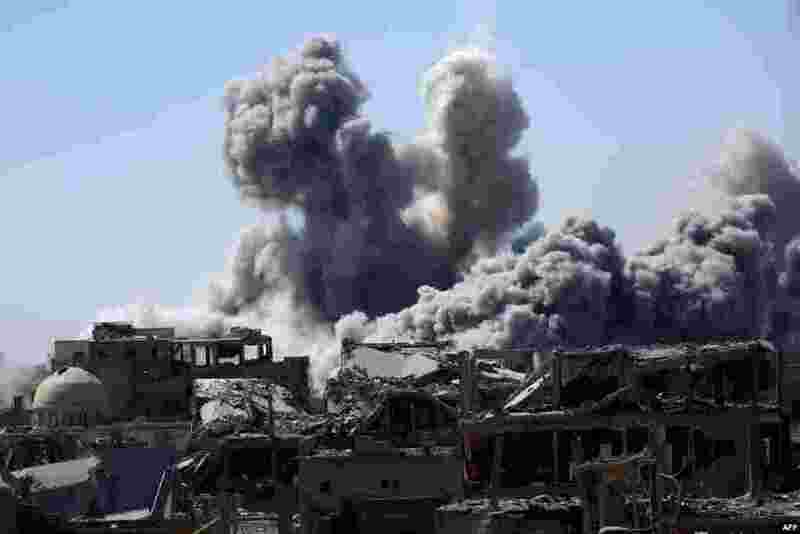 5 Smoke billows in the embattled northern Syrian city of Raqa, Sept. 3, 2017, as Syrian Democratic Forces (SDF), a U.S. backed Kurdish-Arab alliance, battle to retake the city from the Islamic State (IS) group. 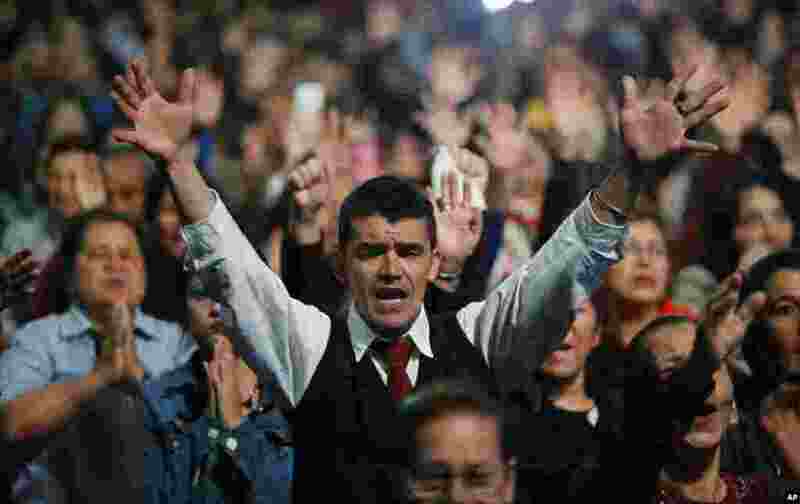 6 A man prays during an evangelical service at Manantial Church in Bogota, Colombia, Sept. 3, 2017. 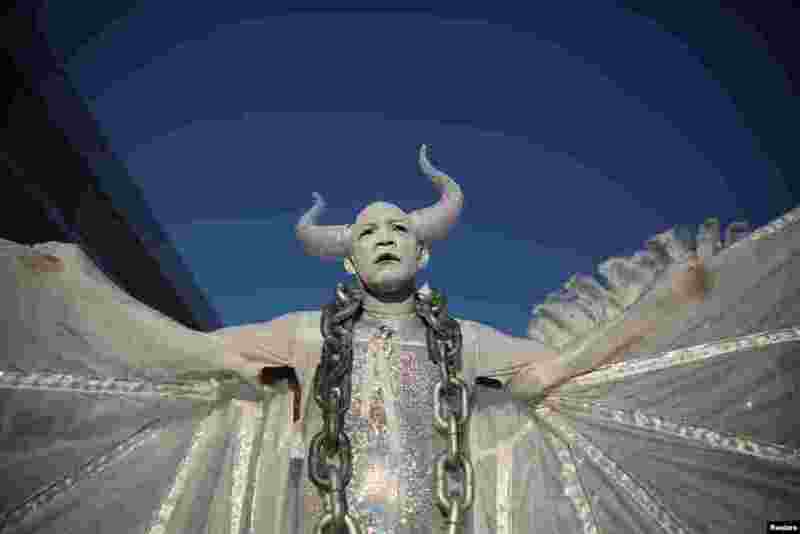 7 A participant takes part in the West Indian Day Parade in Brooklyn, New York. 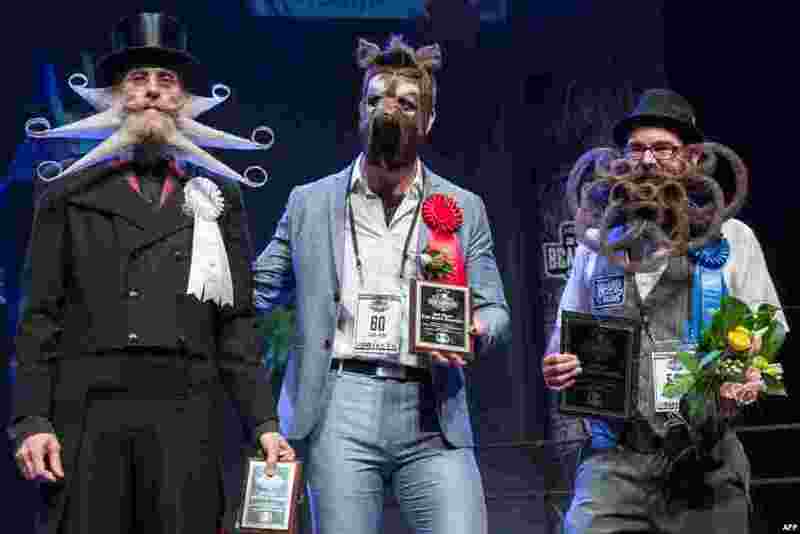 8 (L-R) Third, second and first place winners of the full beard freestyle: Aarne Bielefeldt, Isaiah Webb, and Jason Kiley at the 2017 Remington Beard Boss World Beard & Moustache Championships held at the Long Center for the Performing Arts in Austin, Texas, Sept. 3, 2017.